As mentioned, I am a big fan of the Bullet Journal System. 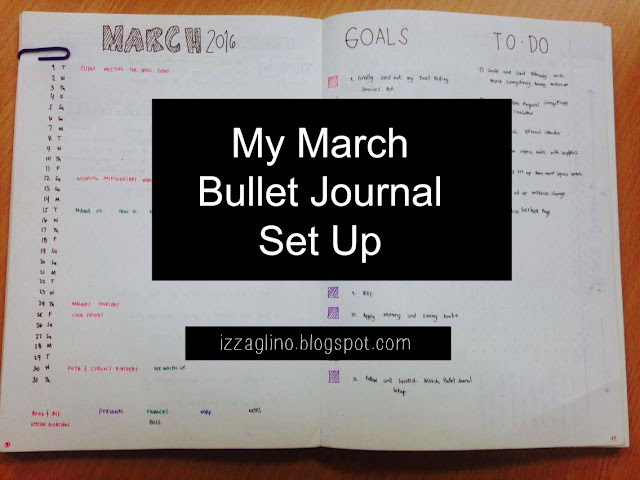 I love planning how my month, week and day will be through bullets and simple rapid logging. And since everything I love goes here in my personal beauty and lifestyle blog I thought it would be nice to create a couple of posts every month about my bullet journal. If you want to track down the posts I've already done just CLICK HERE. Today I will be sharing how I set up my Bullet Journal for March 2016. I will also include the why's, how to's and tips in each entries. For March I followed the normal monthly calendar layout from Rydel Caroll where the dates, day of the week and notes are written vertically. I tried recreating an actual calendar layout for February but sadly it didn't work for me. Seeing the empty squares make me feel like my month didn't go well. I also did a little color coding for areas of my life such as blog and business which is red, personal matters which is purple, anything involving money which is green and notes which is black. This way I'll know exactly what the event or appointment is on a particular day. Following my March Calendar is of course my goals and to do for the month. I followed the same color coding for my goals so I can easily track them. I make it a point that my goals are aligned to my 2016 Personal and Financial Goals as well as my Blogging Goals for 2016. My March To Do List is composed of items that I've been putting on hold for a long time. I put a little checkbox as indicator if ever I am done with a particular task. My Habit Tracker is a big fail this March because I haven't been intentional in keeping my routines. I think for April I will be incorporating my habit tracker on a weekly basis instead of month so I'll surely see to it that will do my part. Now this is something inspired by famous bullet journalist Kara of Boho Berry. 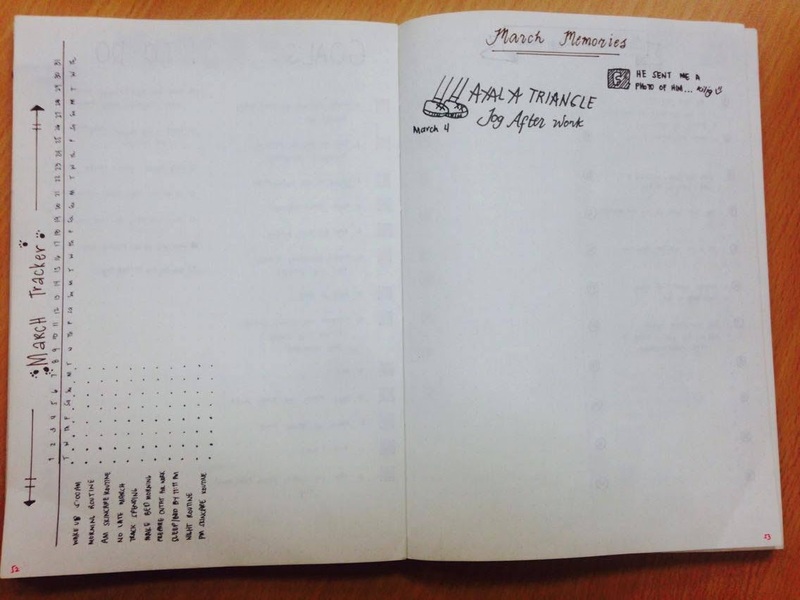 It's basically a page where you write, doodle or draw the highlights of your month. So far I've already done the jog after work we did last Friday and the time when someone sent me a photo of him in Facebook which I got surprised and kilig. 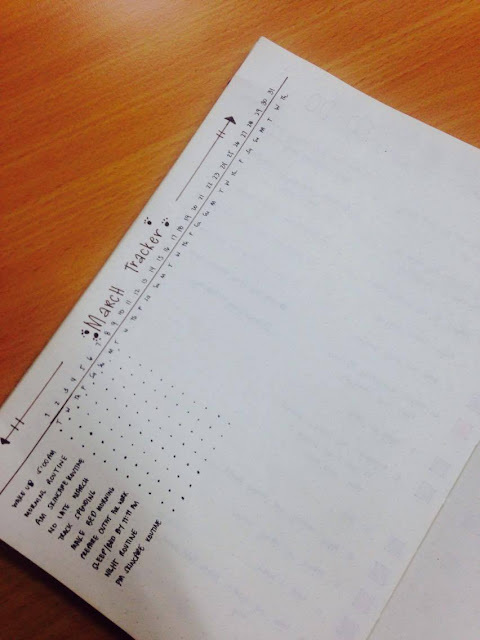 I hope to fill up this page with more memories and also I hope I will have a better handwriting and doodling technique next time. Another page inspired by Boho Berry. Here you have to list two-three things you are grateful for the day. I love how this serves too as diary of the day for me that I can just look back on moments when I am so much thankful for. Though I haven't participated in the challenge I still included all the prompts in my March Bullet Journal in case I became inspired to post. 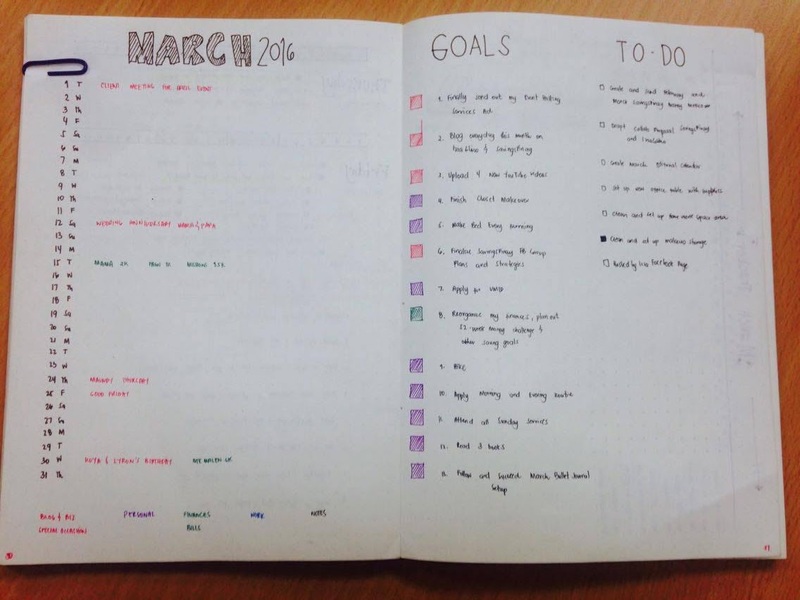 This whole Plan With Me Challenge is a great way to become part of the growing Bullet Journal Community. Check out Kara of Boho Berry for the whole explanation. 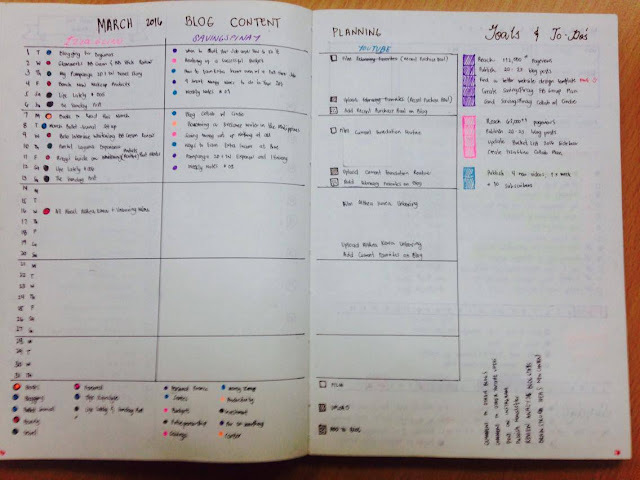 I tried doing my blog planning in a separate notebook but I failed. And so I put my March 2016 Blog Content Planning as part of my main Bullet Journal instead. 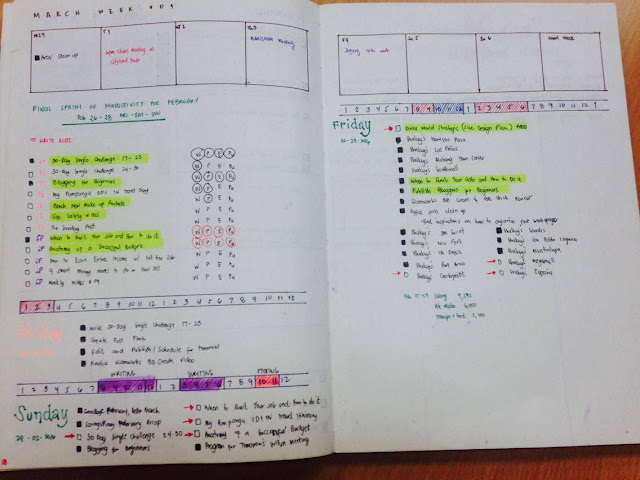 The layout I used is how Kara of Boho Berry used to create her Monthly Calendar. Instead of dividing it by all-day, morning and afternoon I separated the layout out with IzzaGlino, SavingsPinay and my YouTube Channel. Then I put color coding in the footer for the categories/topics I publish. 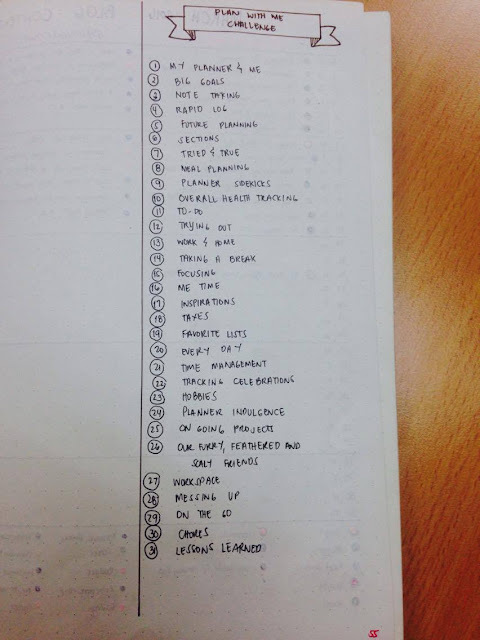 On the extra space available I wrote my goals and to-do's specifically for my blog. 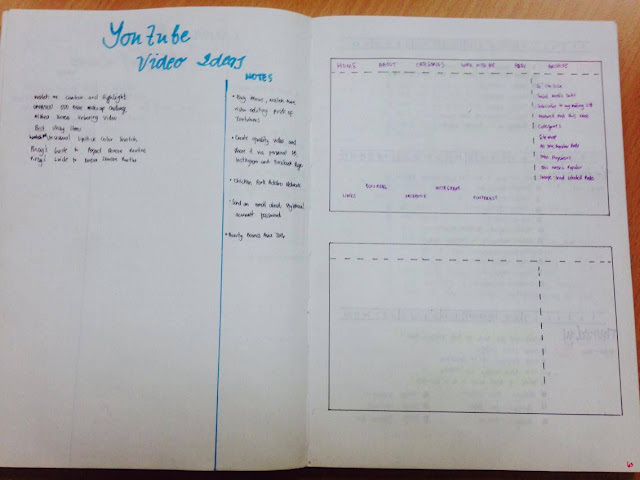 I also tried to do a blog task tracker but failed too so its something that I am in deep thought whether to continue next time. I love doing a weekly layout on top of my daily pages so that I can easily see whether I have appointments or events happening. I still follow the same color coding here for easy tracking. I tried so many layouts when it comes to my daily lists but I always go back to the traditional and simple one. I start with my time divider which is something I also got from other bullet journalists. Will blog more about this soon. Then I write the day of the week followed by the actual date. All my tasks are indicated with a box. If it's filled up then it means it is a task done and if open it means the task is yet to be finished. I also use a red marker to draw arrow in case I moved a certain task on the following day. 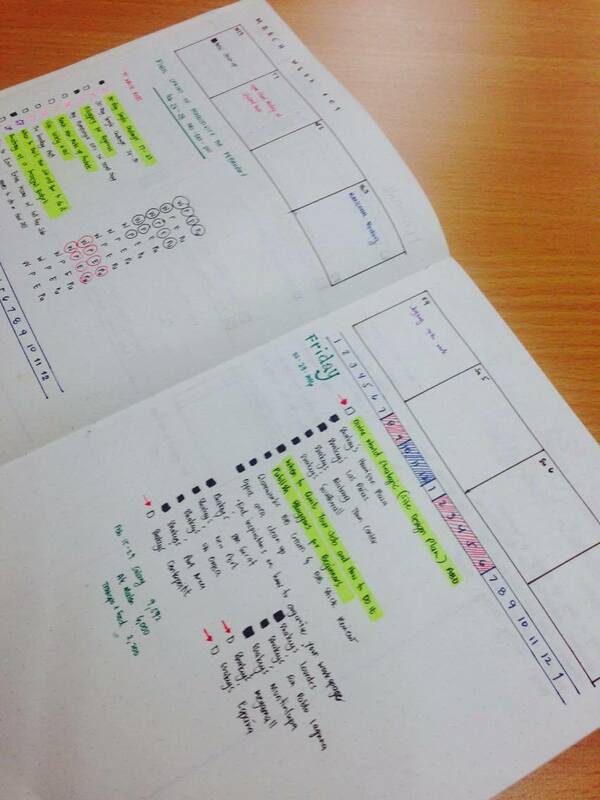 I highlight my most important tasks of the day too. 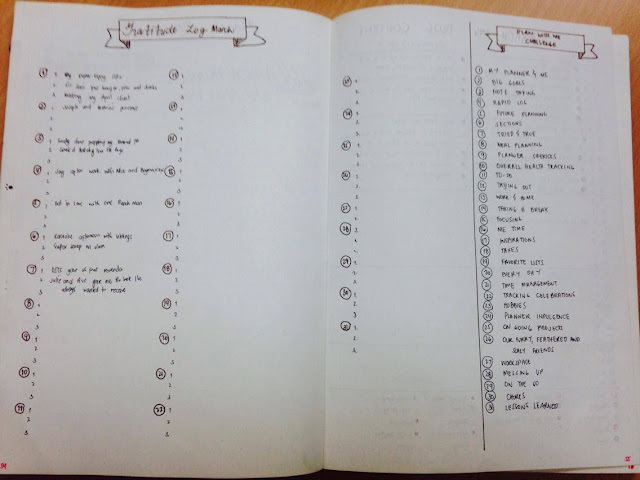 Now what I love about the Bullet Journal system is how customizable it is. I can easily include what I want whenever I want it. 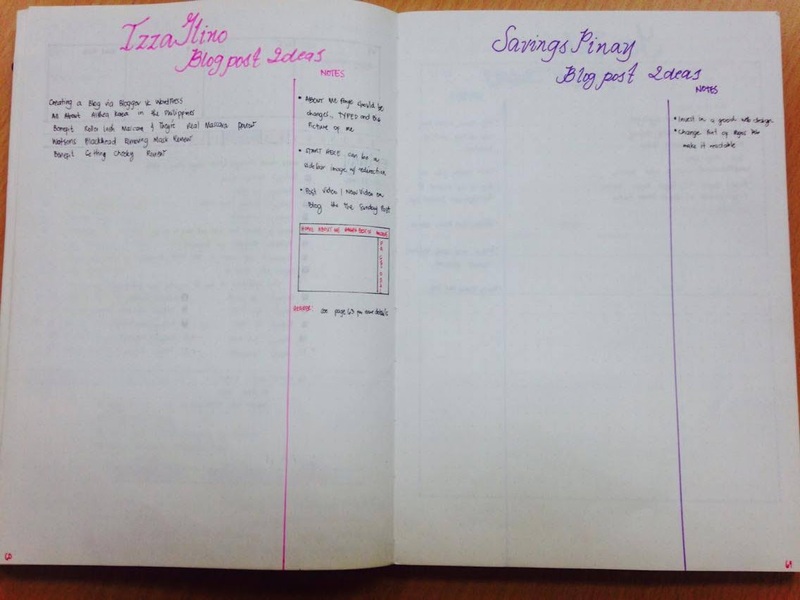 I created a page for IzzaGlino Blog Post Ideas, SavingsPinay Blog Post Ideas and YouTube Video Ideas. This is very helpful in case I find something that is ideal to blog. I also had a brainstorming for the new lay out of IzzaGlino and instead of doing it in scratch paper I decided to put it on my Bullet Journal. And that's about it for my March Bullet Journal.